For the moth genus, see Agastya (moth). For the 2016 film, see Agastya (film). For the Bangalore education trust, see Agastya International Foundation. 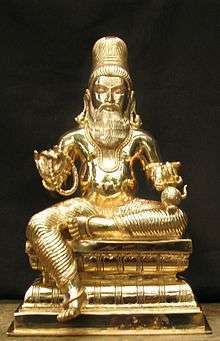 Agastya is one of the ancient saptarshis, a revered Vedic sage, and the earliest Siddhar. He is also believed to be the author of Agastya Samhita. The word is also written as Agasti and Agathiyar (Tamil: அகத்தியர் Agathiyar; Telugu: అగస్త్య; Kannada: ಅಗಸ್ತ್ಯ; Malayalam: അഗസ്ത്യന് or അഗസ്ത്യമുനി Malay: Anggasta; Thai: Akkhot). Agathiyar(அகத்தியர்) in Thamizh means one who is focussed inward அகம் - அகத்து + இயர் = அகத்தியர் A-ga in Sanskrit means a mountain, and Asti means thrower. Agastya is also the Indian astronomical name of the star of Canopus, is said to be the 'cleanser of waters', since its rising coincides with the calming of the waters of the Indian Ocean. He was son of Pulasthya, son of Brahma. Siddhar were spiritual adepts who possessed the ashta siddhis, or the eight supernatural powers. Sage Agathiyar is considered the guru of all Siddhars, and the Siddha medicine system is believed to have been handed over to him by Lord Kartikeya, son of the Hindu God Lord Shiva and goddess Parvathi. Siddhars are the followers of Lord Shiva. 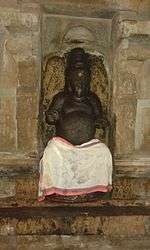 Agathiyar is the first Siddhar. His disciples and other siddhars contributed thousands of texts on Siddhar literature, including medicine and form the propounders of the system in this world. He is considered as the Father of Tamil literature and compiled the first Tamil grammar called Agathiyam. Adhithya Hrudhayam was revealed by Agathiar. Rama was finding it difficult to defeat Ravana, Agathiyar coming to Rama's help gave him "Adhithya Hrudhayam" after which Rama defeated Ravana. Ikshhwaku was a famous king in the solar lineage of kings. His son was Nimi. After he became king he wanted to perform a yaga. Sage Vashishta was the royal priest and the king approached him and asked him to help in performing the yaga. Vasishta had already given word to Devendra to help him in performing a yaga in heaven at the same time. Maharishi Vasishta could not agree to help Nimi and he said,"I will come and perform the duty of a ritwika after I return from Devendra's yajna." The king was not happy at the reply. He returned to the palace without uttering a word. The king in the meantime got the yajna performed with the help of sage Shathananda, the son of Sage Gowthama by the time Sage Vasishta returned from heaven. On his return Sage Vasishta came to the king. Maharishi Vasishta was made to wait as the king did not know about the sage's arrival and he was sleeping soundly. Maharishi Vasishta got angry at the improper conduct of the king. He thought,"Nimi being a powerful king is proud. After performing the yagna he has become very arrogant. He seemed to have given a go by to politeness and respect for elders. He has not even received me. Let such an arrogant king die." He thus heaped a curse on him. The king came to know about Mahrishi Vasishta's curse. He was sure that he was going to die soon as a result of the sage'scurse.He was very sad. Nimi was also a great tapasvi and he had power to curse others. He decided to retaliate. He thought "Maharishi Vasishta cursed me, knowing that I was asleep." Therefore, Maharishi Vasishta, you are also going to die soon. Nimi died immedietely. Maharishi Vasishta came to know that he was cursed by the king. Maharishi Vasishta was immortal and pure, he left his body assumed a body of divine light and went to Brahmaloka. He met Lord Brahma and told him the details of his encounter with king Nimi and what followed, Brahma said,"O great Brahmarshi, I know everything. A lot of work has got to be done by you and you are the suthradhara of a number of things to be done in the world. Therefore, you have to get a new body with the help of Mithra-Varuna and return to the world and resume the work assigned to you." Lord Brahma's order was carried out. Through Mithra and Varuna two Maharishis were born. First came Maharishi Agastya. Then came Vasishta who knew the secrets of the Vedas. As Sage Vasishta was born after Sage Agastya, Sage Vasishta came to be considered younger to Maharishi Agastya. Sage Agastya did not need to learn the vedas and other subjects through someone. He knew everything at birth. He was an expert in the use of weapons. He became very famous. Sage Agnivesha, who was the preceptor of Dronacharya, was a disciple of Sage Agastya. 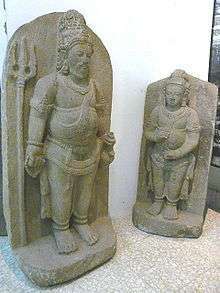 The left of these two statues represents Maharishi Agastya as a Tamil sage. It is located in the archaeological museum at Prambanan, Java, Indonesia, and probably dates from the 9th century A.D. Maharishi Agastya was one of the divinities worshipped at Candi Siva, the main temple at Prambanan. Maharishi Agastya needed to marry and sire a son, in order to fulfil his duties to the Manus. Once he resolved upon doing this, Sage Agastya pursued an unusual course of action: by his yogic powers, he created a female infant who possessed all the special qualities of character and personality that would be appropriate in the wife of a renunciate. At this time, the noble and virtuous king of Vidarbha (an area in south-central India, just south of the Vindhya mountains), was childless and was undertaking penances and offering prayers to the divinities for the gift of a child. Having come to know the plight of the king, Maharishi Agastya arranged for the transformation of the child he had created, to be born the daughter of that noble king of Vidarbha. The child thus born was named "Lopamudra" by her parents. Upon her attaining marriageable age, Maharishi Agastya approached the king and sought the hand of his daughter. The king was initially chagrined to hear such a suggestion from a renunciate, but found that his daughter, who had already exhibited extraordinary standards of mind and character, was insistent that he should accept the proposal. She was utterly intent upon renouncing the royal palace of her father and set out to live in forest at the hermitage of Maharishi Agastya. Lopamudra and Maharishi Agastya were duly married and lived a life of extraordinary felicity and happiness. It is believed that they had two sons — Bhringi & Achutha. In Mahabharata (Vana Parva: Tirtha-yatra Parva), there is mention of his penance at Gangadwara (Haridwar),in Uttarakhand State in India, with the help of his wife, Lopamudra (the princess of Vidharba). Sage Agastya is often considered the father of traditional Indian Medicine among many other streams of knowledge. In his book, he is believed to have given the description of, and instructions for, the creation of medicines for many types of fevers, cancer, treatments for impotence, abdominal problems, brain and eye problems, bone problems, etc. Among the various legends associated with him is that of the Vindhya mountains. According to a story in the Shri Rama-Charitra-Manasa, at one time, Mount Vindhyachala was continually growing in size due to taunting comments by the Sage Narada. So as to temper the vanity of the mountains, Sage Agastya and his family travelled to South India, via the Mount Vindhyachal. On their way, when the Vindhyas saw Maharishi Agastya, he bowed with respect and reverence, upon which Sage Agastya, jokingly asked if he would stay bowed and subdued with respect until the sage returned. The Vindhyas were truly benevolent and promised to not grow until the seer's return from the South. After passing through the mountain, Sage Agastya told his wife that they would never again cross over to the North side of mount Vindhyas. Another reference is in the Mahabharata Book 10 in Sauptikaparva, section-12 as the sage who gave Drona, the greatest of weapons, Brahmastra (used by both Arjuna and Ashwatthama at the end of the war). A reference to Maharishi Agastya is made Paramahansa Yogananda's Autobiography of a Yogi, Chapter 33: "Babaji, Yogi-Christ of Modern India", p 333, in the statement "A considerable poetic literature in Tamil has grown up around Sage Agastya, a South Indian avatar. He worked many miracles during the centuries preceding and following the Christian era, and is credited with retaining his physical form even to this day." Sage Agastya is mentioned most among all the existing Hindu texts possibly in the Ramayana. He is mentioned in the oldest and most original existing versions of the Ramayana (those by Sage Valmiki), as having his abode in the form of a hermitage in the Malaya Mountains, and at other places as well. His main hermitage is placed by the epic somewhere in the western half of the Indian Ocean, further south of the so-called Malaya Mountains, amongst a series or chain of large islands and submerged mountains. His hermitage building there is supposedly eighty miles in both length and breadth, and again an astounding eighty miles in height as well, and adorned with inestimable amounts of gold, diamonds, and all other kinds of precious metals and stones. Another related claim is that his hermitage was located on the banks of river Godavari. According to the Tambraparni Mahatmyam, an ancient account of the Thamirabarani River of Tirunelveli from its rise to its mouth, a string of red lotus flowers from sage Agastya at Agastya Mala, Pothigai hills, transformed itself into a damsel at the sight of Lord Siva, forming the river at the source and giving it its divine name. The shrine to Agastya at the Pothigai hill source of the river is mentioned in both Ilango Adigal's Silappatikaram and Chithalai Chathanar's Manimekhalai epics, where Sugriva advises his army of monkeys to worship the sage at the mountain, on their way to finding Sita. Similarly, the Sanskrit plays Anargharāghava and Rajasekhara's Bālarāmāyaṇa of the ninth century refer to a shrine of Agastya on or near Adam's Peak, the tallest mountain in Sri Lanka (ancient Tamraparni), from whence the river Gona Nadi/Kala Oya flows into the Gulf of Mannar's Puttalam Lagoon. Other name derivations eventually applied to the entire island of Sri Lanka include the Pali term "Tambapanni", "Tamradvipa" of Sanskrit speakers and "Taprobana" and "Taprobane" of ancient Greek and Roman cartographers. Robert Knox reported from his 20 years of captivity on the island in the hills that "Tombrane" is a name of the Sri Lankan Tamil people for God in Tamil, which they often repeated as they lifted up their hands and faces towards Heaven". Those who served as palace or temple attendants were known as follows: (e.g.) aga-tt-at|imai, aga-t-ton@t|ar, aga-mp-at|iyar etc., (Tamil Lexicon). The palace or temple service was generally called: (e.g.) aga-p-pat|ai, aga-p-pan@i, aga-p-parivaram etc., (Tamil Lexicon). Another important set of Old Tamil expressions for palace and temple attendants is derived from the root culÈ ‘to surround’ > ulÈiyam ‘service, especially in palace or temple’, ulÈiyar ‘palace or temple servants’ (DEDR 2698 > 758). Cf. ulÈi, ulÈai ‘place' esp. about a king (DEDR 684) which also ultimately looks to culÈ ‘to surround, surrounding area’. Note the distinction between ul\ai-y-iruntan\ ‘minister of state, companion of the king’ and ul\ai-y-al|-an\ ‘attendant (in the palace)’ (Tamil Lexicon). (3) oru maram (‘Agasti grandiflora’). Note how agatti in (1) and (3) get transformed to agasti in Indo-Aryan loanwords. 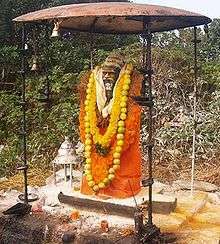 Maharishi Agastya's legacy is associated with the Chengannur Temple in Kerala in South India, considered to be first built by Maharishi Agasthya Muni, where he sat in meditation. 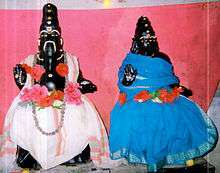 Here Siva-Parvathy’s idols are worshiped in the same temple. One half of the temple is dedicated to Lord Siva and the other half behind Siva is dedicated to goddess Parvathy. It is believed that They are available to Their devotees for worship, as husband and wife here. Interestingly it is believed that even today the idol of Parvathy has menstrual flow, though not regular. But if the priest observes blood (claimed to be tested true menstrual blood) in the 'odayaada' during 'nirmalya pooja', Parvathy's idol is removed and kept in a sanctum opposite to the temple within the premises and after a festival 'tripoottaraatu' (7 days) Her idol is placed back into the temple. The festival is celebrated only if Her menses occurs. The story of the Velir from Dwaraka under the leadership of Maharishi Agastya is narrated by Naccinarkkiniyar in his commentary on Tolkappiyam (payiram ; Porul|.34). Another story has it that two demon brothers, Ilvala and Vathapi, used to kill Brahmins as a revenge in a special manner. Ilvala had once requested a Brahmin to bless him for getting a son as powerful as Indra, the king of gods. The Brahmin refused the request right away. That made the demon angry. He wanted to take revenge on all Brahmins because one of them refused to grant him his wish. He had a younger brother by name Vatapi. Being demons, the two had special powers. They came up with a plan to take revenge on Brahmins. Ilvala would turn his brother into a goat, [in other version of the legend, Vatapi turns in to a ripe mango]. He would invite any passer-by, especially Brahmins, for a grand feast at his house. He would cut his brother, turned goat, into pieces and cook a delicacy with it. He would offer the guest this special meat dish. After meal he would call his brother out, “Vatapi”. His brother would respond from the belly of the visitor and come out alive in one piece. In the process the guest would be killed. The two demons, later, would enjoy a curry made of human flesh. All the valuables in the possession of the visitor would go into their treasure. Ilvala was so good at cooking that the smell of the food started attracting Brahmins around. They queued to have a taste of it.Anyone who went inside the eating place never came back and the brothers were intelligent enough to only allow one Brahmin to enter and eat at a time. Thus the numbers of Brahmins began to reduce. One day, Maharishi Agastya happened to pass through. By the plan, as usual, one changed into a goat and the other disguised himself as a Brahmachari who invited Maharishi Agastya to a meal. Maharishi Agastya knew beforehand about the plan due to his immense Vedic powers, he resolves to teach both a lesson. After the meal, Maharishi Agastya simply rubbed his stomach saying Vathapi JeerNo bhava; literally may Vathapi be digested, while the other demon tries to bring his brother to life, but in vain. Maharishi Agastya plainly informed the demon that his brother has been digested and could no longer be brought back to life, and eventually bringing their treachery to end. Very ancient period before Maharishi Agastya, in the period of "Abhisheka pandian", by the grace of Lord Shiva, "Sundharanandhar" (avatar of Lord Shiva) is a first Siddhar in world. This incident (Thiruvilaiyadal) was held in Madurai, where Sundharanandhar, being an avatar of Lord Shiva, explained to the people about meaning of "Siddhas" and also explained human body is control by "Pancha boodham". Maharishi Agastya is considered as the first and foremost Siddha. He is considered the guru of many other Siddhas. He is also called Kurumuni, meaning short (kuru) saint (muni). He made contributions to the field of Medicine and Astrology - especially Nadi astrology. He is said to have lived for over 5000 years, and that one of his medicinal preparations, Boopathi Kuligai, is so powerful that it can even bring the dead back to life. 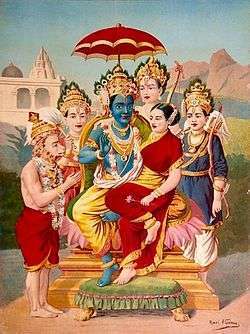 Two of his students and disciples were Therayar and Tholkappiar. During the war between the Devas and the trio of Malyavaan, Sumaali and Maali (Ravana's maternal grandfathers), Maharishi Agastya, at the request of Vishnu, drank up the seven oceans when the asuras hid themselves in the ocean. At a Saivite temple named Kutralam, formerly a Vishnu temple, in Tamil Nadu, Maharishi Agastya, in one legend, was refused entry. He then appeared as a Vaishnavite devotee and is said to have miraculously converted the image to a Shiva linga. A symbolic meaning of this conversion is to show that Vishnu and Shiva are different aspects of the one and same God. The Lalita sahasranama, which describes the 1000 names of the goddess Lalita (known commonly as Dākshāyani, Pārvatī or Durgā), was first revealed to the world when Hayagrīva, a manifestation of Viṣṇu, taught the same to Maharishi Agastya. Maharishi Agastya is progenitor of the Āditya Hṛdayam, a hymn to Sūrya taught to Rāma just before Rāma's battle against Rāvaṇa. Maharishi Agastya also composed Saraswati Stotram. Maharishi Agastya also composed ekadasa mukha hanumath kavacham. However these so-called differences do not contradict each other even the leader claim. Sage Agastya was met by Lord Rama north of Nashik (in modern India) several years before the break up of the Yadu clan from Dwaraka. He confides to Lord Rama in the Uttara Kanda that he travelled south but did not venture much farther because of Ravana. 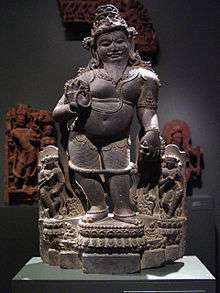 Ravana was his brother's (Vishrava) son. He destroyed Rakshasas but did not want to destroy Ravana (obliquely his son). Also knowing that Ravana could not be destroyed till his time as a result of Shiva's boon to Ravana and that he was destined to be destroyed by Rama (because of the boon of Vishnu to his guards cursed by the Sanat Kumaras), he stayed his hand. The remnants of Yadu clan could have well taken him for their guide. Sage Agastya is also celebrated as the third greatest exponent of the Tamil language after Shiva and Murugan. The fact of Sage Agastya's leadership of Velir clan rules out the possibility that he was even in origin an Indo-Aryan speaker. The Velir groups constituted the ruling and the land-owning classes in the Tamil country since the beginning of recorded history and betray no trace whatever of an indo-Aryan linguistic ancestry. From what we now know of the linguistic prehistory of India, it is more plausible to assume that the Yadavas were the Aryanised descendants of an original Non-Aryan people than to consider the Tamil Velir as the later offshoot of the indo-Aryan speaking Yadavas.The Agastya legend itself can be re-interpreted as Non-Aryan and Dravidian in origin and pertaining to the Pre-Vedic Proto-historical period in the North. However this assumption of Yadavas being aryanised non-aryans is at loggerheads with the descriptions of their origins with Yadu, the ancestor of Krishna; whose history is also well documented in the Srimad Bhagavata and other Sanskrit sources. Maharishi Agastya is regarded as the founder and patron saint of silambam and varmam -an ancient science of healing using varmam points for varied diseases and southern kalaripayat. Shiva's son Murugan is said to have taught the art to Sage Agastya who then wrote treatises on it and passed it on to other siddhar. ↑ Lopamudra The Mahabharata, translated by Kisari Mohan Ganguli (1883 -1896), Book 3: Vana Parva: Tirtha-yatra Parva: Section XCVII. ↑ Gopal, Madan (1990). K.S. Gautam, ed. India through the ages. Publication Division, Ministry of Information and Broadcasting, Government of India. p. 62. ↑ Mendis, G.C. (2006). "The ancient period". Early History of Ceylon (Reprint ed.). Asian Educational Services. p. 386. ISBN 81-206-0209-9. ↑ K. Sivasubramaniam - 2009. Fisheries in Sri Lanka: anthropological and biological aspects, Volume 1. "It is considered most probable that the name was borrowed by the Greeks, from the Tamil 'Tamraparni' for which the Pali...to Ceylon, by the Tamil immigrants from Tinnelvely district through which ran the river called to this date, Tamaravarani"
↑ Mendis, G.C. (2006). "The ancient period". Early History of Ceylon (Reprint ed.). Asian Educational Services. p. 33. ISBN 81-206-0209-9. Retrieved 2009-11-06. 1 2 Mahadevan, Iravatham (2009). "Meluhha and Agastya: Alpha and Omega of the Indus Script" (PDF). Indus Research Centre, Roja Muthiah Research Library, Chennai,India and Harrapan. ↑ Zarrilli, Phillip B. (1998). When the Body Becomes All Eyes: Paradigms, Discourses and Practices of Power in Kalarippayattu, a South Indian Martial Art. Oxford: Oxford University Press. EMENEAU,M.B 1956"India As aLinguistic Area," Language,Vol.32,P. 3(Reprinted in Collected Papers,1967). GHURYE,G.S http://www.sociologyguide.com/indian-thinkers/g-s-ghurye.php 1977 Indian Acculturation : Agastya and Skanda,Popular Prakashan,Bombay. RAGHAVA IYENGAR,M.1913 Velir Varalaru(in Tamil),3rd ed. 1964. Dharma Bharathi, 2007, Karnataka, India – Carried a series of articles on Agastya Samhita and its contents.